He has more than twenty years of professional experience in Corporate Finance. As an Equity Partner with Deloitte Financial Advisory, he is the head of the “Valuation Services” line in Italy and is a member of the Deloitte Global Valuation Team. In this capacity, he has been responsible for numerous advisory projects, including Business Valuation, Purchase Price Allocation (“PPA”), Fairness Opinions, Business Planning, Valuation for Reporting, PPP, Financial Modeling, M&A Transactions, among others. Before joining Deloitte, he worked for about six years in the ENI Group’s Strategic Planning Department for the Downstream Business, where he was in charge of strategic development projects. He also has brief experience in the Aerospace industry as a designer (Fiat Avio S.p.A., Elettronica S.p.A.). 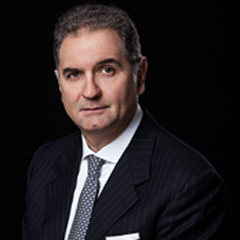 He is a Contract Professor of Advanced Corporate Finance at Luiss Guido Carli University and has been a Contract Professor at L’Aquila University since 2003. He has published several articles about business valuation in international financial journals and has been a speaker in many conferences. He is also member of the Management Board of the Italian valuation standard setter “Organismo Italiano di Valutazione” (OIV).